Dr. Stephen Wolfram, scientist and founder of search engine WolframAlpha and computation software Mathematica, suggests at a lecture Thursday that computation will be increasingly critical to a broad range of fields. Most students who have taken a Harvard mathematics course have at some point used the WolframAlpha search engine or the Mathematica computation software to help solve a tough question on a problem set. On Thursday evening, several dozen of these undergraduates gathered in Science Center Hall D to see the man behind the machine—Stephen Wolfram. In a roughly 90-minute lecture, Wolfram predicted that in the future the basic computational ideas behind his two popular mathematics tools will play an increasingly central role in all fields of study. Wolfram began his talk with a discussion of the inspiration behind WolframAlpha, saying that the 17th and 18th century mathematician and philosopher Gottfried Wilhelm von Leibniz conceived of an artificial computation engine centuries before the necessary technology was available. In this light, Wolfram said, his own WolframAlpha tool must be understood as a 21st century product of centuries of thought. Just as Leibniz was held back by the technology of his time, Wolfram said, so too is modern society constrained by the limits of existing computational understanding. Wolfram said that while many disciplines do not yet make full use of computational tools, advances in technology will eventually bring computation to the forefront in all aspects of society. He pointed to the Turing machine, a simple inscribing machine that, hypothetically, has the potential to compute even the most complicated algorithms, as an example of the boundless potential of computation. For attendee Aaron D. Tucker ’16, the most interesting aspect of the talk was the focus on the increasingly complex yet unknown patterns that Turing machines can generate. Wolfram’s lecture was hosted by the Harvard College Future Society and was followed by a dinner that allowed students to converse more casually with the WolframAlpha creator. 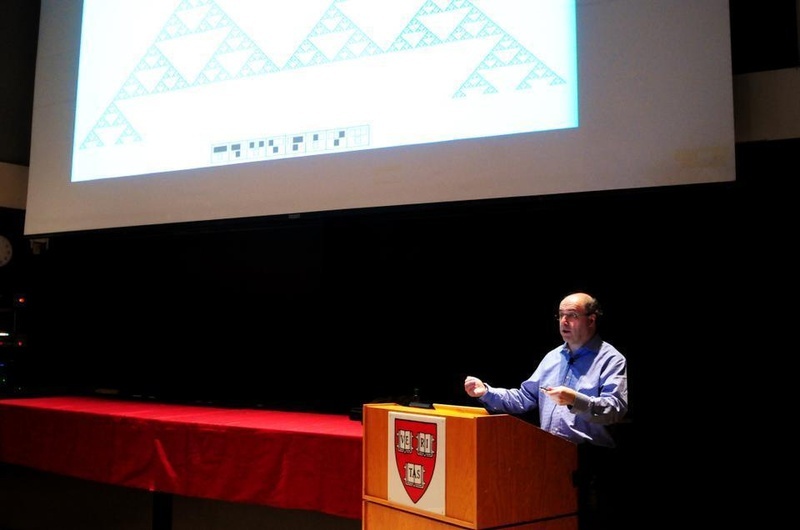 Thursday marked the second time Wolfram has spoken at Harvard in as many months; he previously discussed the future of applied mathematics at a March 29 event.